For three weeks only a North Melbourne warehouse is being transformed into an immersive gin bar, complete with fragrant cocktails from Bombay Sapphire and matched snacks from Gary Mehigan. Kicking off this Wednesday evening, Project Botanicals showcases the flavour profiles of Bombay Sapphire’s 10 beguiling aromatics. Signature ingredients such as juniper, coriander seeds, cassia bark, liquorice and bitter almonds take centre stage. I was lucky enough to get a sneak preview of the offerings at a media launch last month, where we were treated to five cocktails with complementary tapas. Standouts included an Angelica Negroni of Bombay Sapphire, Martini Rosso, Campari and dehydrated orange, paired with an earthy tartine of field mushrooms, soft-boiled quail egg, crunchy shallots and salty jamon. As I was also quite smitten by the Juniper Sublime G&T, which cosied up alongside toasts topped with blue swimmer crab, pistachio dukkah and a hint of lavender. Oh, and the lilac-toned Cubeb Berry Fizz served alongside fried chicken sliders with apple slaw. 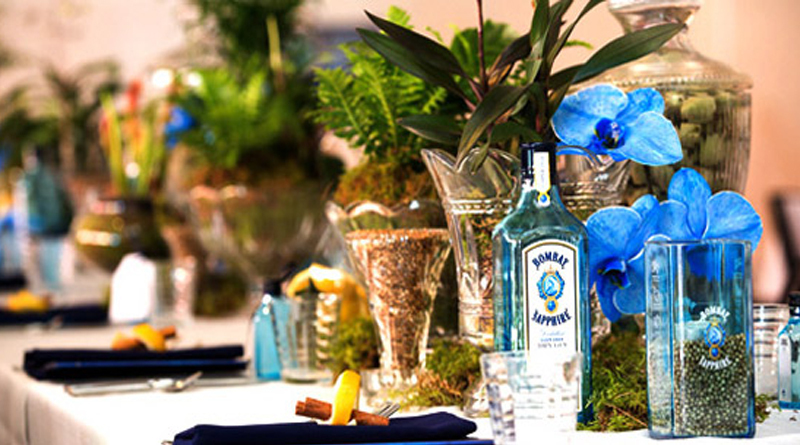 Bombay Sapphire’s Project Botanicals takes place at 64 Sutton Street, from Wednesday to Saturday nights for the next three weeks. You’ll want to book ahead to secure a spot – $35 buys you two cocktails with two matching tapas plates. To get you in the mood, Gary was gracious enough to share the recipe for blue swimmer crab toasts, perfect for entertaining come summer. Sarah Gamboni is an Australian food, drinks and travel writer. Sarah writes for leading lifestyle magazines and websites, and produces content for a range of clients spanning tourism bodies, beauty products, food and fashion. She is currently based in Dubai with her husband, Simon, and daughter, Francesca.